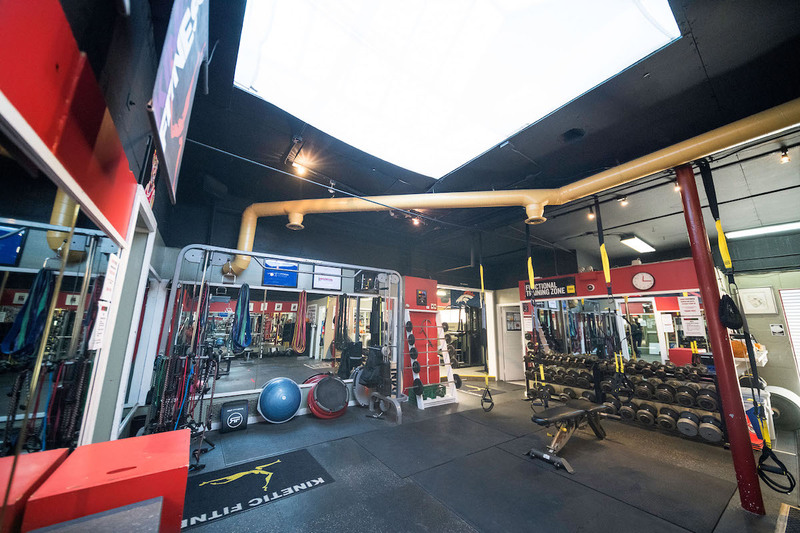 Fitness trends may come and go, but Phil Davis believes his “old school” gym setting (and sense of humor) might just be the secret behind Kinetic Fitness Studio’s longevity. Phil Davis joined Kinetic Fitness Studio two-and-a-half years ago, embracing the old-school vibe and helping personal training clients go back to the basics of fitness to help them reach their health and wellness goals. 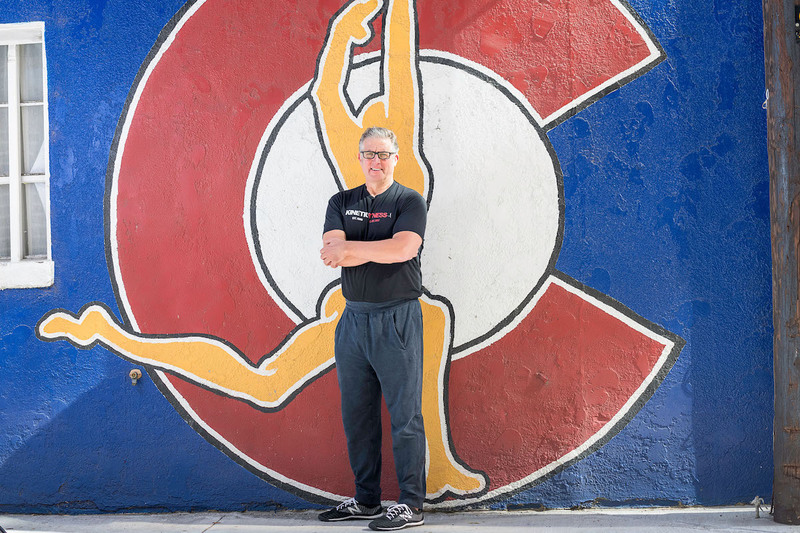 Walk down the alley off 3rd Avenue between Columbine and Clayton streets toward the giant blue painted wall, and you’re transported back in time; you’ll probably hear 80’s rock jams coming from the 38-year-old studio’s tucked-away gym. Don’t be fooled by the orange traffic cones out front that read “no wimps”— Davis welcomes all with jokes, but he will put you to work. Though it’s a small studio gym, Kinetic Fitness Studio offers a full host of training equipment— TRX suspension training, a Peloton bike, additional spin bicycles, weights, kettle bells, barbells, ropes, medicine balls, ropes and tires—as well as select fitness classes and personalized training for every age, ability and workout preference. Davis has even been known to take his training sessions outdoors, rolling out AstroTurf in the alley for his clients to push weighted sleds. The studio has everything a fitness fan needs, and even non-members can rent time on the Peloton for a small fee. But the studio is not just for members only. He works with nearby hotels and businesses to create customized packages for short-term business travelers to get a workout in during their stay in the area, and those looking to take the trendy Peloton for a test ride can pay a small fee to try it out. 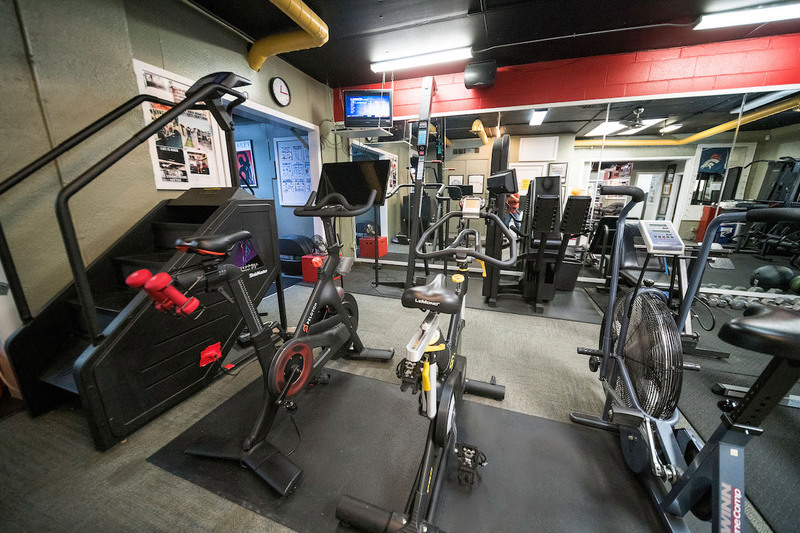 Hidden away in the alley on 3rd Avenue between Clayton and Columbine streets, the gym offers open gym time as well as select classes and personal training. For Davis, it’s all about keeping people laughing so they come back for more—whether that’s through the internet memes he uses as wall décor, rock n’ roll tchotchkes throughout the gym or sharing nutrition information on Instagram couched with silly or snarky captions. He once even submitted to a client request to wear a frilly pink tutu during her training session.